Mutations in Parkin and PINK1 cause an early-onset autosomal recessive form of Parkinson’s disease (PD). PINK1 is a mitochondrial kinase that builds upon damaged mitochondria and recruits Parkin to induce the selective degradation of damaged mitochondrial proteins. Using a combination of bottom-up and intact protein mass spectrometry, as well as NMR spectroscopy and X-ray crystallography, I will describe the mechanism of PINK1 activation through autophosphorylation, as well as the sequence of phosphorylation events that triggers Parkin’s E3 ligase activation on mitochondria. 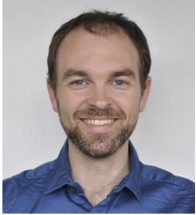 Jean-François Trempe is assistant professor at the department of Pharmacology at McGill University since 2013. He obtained a D.Phil. in Biochemistry at the University of Oxford and then perused his postdoctoral studies at McGill University and at the Montreal Neurological Institute. His group research activities are centered on the structure and function of proteins implicated in Parkinson’s disease, mainly Parkin and PINK1 that mediate neuroprotection and mitochondrial maintenance. In addition to our work on the composition and 3D structure of molecular complexes formed by Parkin and PINK1 on mitochondria, our research activities also involve the development of novel therapies for Parkinson disease. Our group use a broad range of structural biology tools including X-ray crystallography, NMR spectroscopy, SAXS, electron microscopy and mass spectrometry. These tools provide us valuable information on how enzymes become active and modify their substrates, and provide us valuable insight into the development of novel pharmacological targets. Le groupe de discussion sur la spectrométrie de masse de Montréal (GDSMM) est un organisme à but non lucratif qui offre un forum favorisant les interactions locales, nationales et internationales entre les scientifiques oeuvrant en spectrométrie de masse. Le GDSMM organise des séminaires scientifiques et des forums de discussion présentant les derniers développements en recherche fondamentale et appliquée en spectrométrie de masse. Une réunion annuelle du GDSMM qui regroupe les étudiants et les post-doctorants a lieu à Montréal chaque printemps et offre une opportunité unique de réseautage en plus d’accroitre la visibilité et la sensibilisation aux contributions locales en spectrométrie de masse. The Montreal mass spectrometry discussion group (MMSDG) is a not-for-profit organization that provides a forum to promote local, national and international interactions among scientists involved in mass spectrometry. MMSDG sponsors scientific seminars and forums to present the latest developments in basic and applied research in mass spectrometry. An annual MMSDG meeting that regroups students and postdoc is held every spring in Montreal, and provide a unique networking opportunity to participants and enhance the visibility and awareness of local contributions in mass spectrometry.